Walking with Jesus: Day 158: John 4:1-45 & Psalm 11 - How Can We Actually Love People Like Jesus? Day 158: John 4:1-45 & Psalm 11 - How Can We Actually Love People Like Jesus? How Can We Actually Love People Like Jesus? I have a confession to make: I get really annoyed when people say, "We should just love people like Jesus did." I don't get annoyed because I'm against loving people or against treating people like Jesus did - although at times we have no right to do so, because we're not God! I get annoyed because the attitude and actions desired by those who usually make such a statement almost always reflect a sentimental and un-Biblical version of Jesus. In other words, "We should just love people like Jesus did" usually means "be nice and don't be controversial." The real Jesus we meet in the Gospels loved people in a much better, deeper, richer- and a much more controversial and confrontational- way. 1. Jesus loved John the Baptist by giving him space for ministry and avoiding the perception that He was "competing" with him. John opens this passage by telling us why Jesus withdrew from Judea and went back north to Galilee. Jesus had heard that the Pharisees were stirring up a fake competition between John and his disciples and Jesus and His disciples. Jesus did not want to be used by the Pharisees to undermine John's ministry, so He humbly withdrew. Sometimes we do need to love people by respecting their areas of giftedness and ministry and withdrawing to avoid controversy and competition. 2. 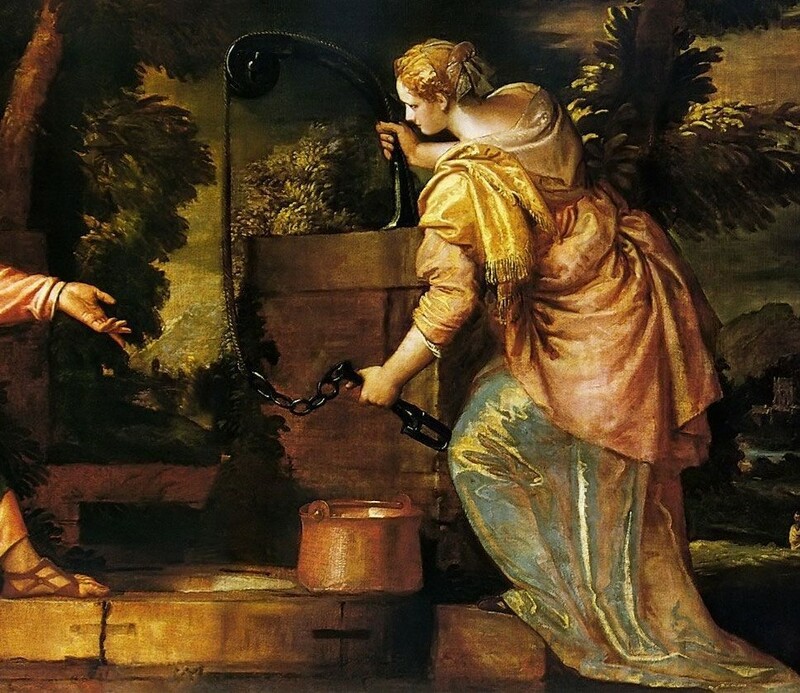 Jesus loved the Samaritan woman by taking the initiative with her. Jesus was tired - "wearied . . . from his journey"- but He didn't use this as an excuse to avoid talking with this woman. Jewish men did not talk to Samaritan women, but Jesus used this cultural taboo as an opportunity to engage and not as an excuse to avoid. How often to we avoid difficult conversations out of tiredness, selfishness or cultural concerns? 3. Jesus loved the Samaritan woman by lovingly confronting her in her need. He did not avoid the obvious and ugly reality of her past and her present need. He did not minimize or deflect. He spoke directly to the obvious need in her life. Are we willing to love people enough to ask hard questions and deal with real needs and not protect ourselves by "not going there"? 4. Jesus loved the Samaritan woman by directing her to Himself to meet her need. Jesus didn't engage in practical conversation about how to build healthier relationships. He knew that her deepest need was spiritual and that He alon could meet it, so He did not shy away from directing her to Himself as the answer to her needs. Do we consistently point people to Jesus or do we stick to the practical, superficial and acceptable solutions people expect? 5. Jesus loved the Samaritan woman by inviting her to worship God in spirit and in truth. We are created to be worshipers. Head knowledge of correct theology and even a right understanding of the Gospel are not the final goal: worship is. Are we inviting people to worship God? 6. Jesus loved the Samaritan woman by allowing her to bring others to Him, too. Jesus revealed Himself to the Samaritan woman and then, though her witness, offered salvation to her whole village. Are we looking for open doors to carry the grace of God not only to individuals but also, through them, to bigger groups of people? 7. Jesus took time out of His schedule to love the Samaritan woman and her town. Jesus was on His way to Galilee, but He stayed in Sychar for two days before He resumed His travels. Jews did not like Samaritans, and I'm sure Jesus had other places to be and things to do. But He was delayed for two days, inconvenienced by love. So, can we just love people like Jesus did? That's no easy task, is it? Christ-like love is inconvenient, uncomfortable, truth-telling, barrier-crossing, sin-confronting, Gospel-proclaiming love. It is not safe easy, nice or comfortable, and it will not win us applause from the world. The people of Galilee did not praise Jesus for loving this woman and her village. But love is right and powerful and life-changing and God-honoring. That's why Jesus was committed to a life of love, and that's why we should be, too. Your eyes see, Your eyelids test the children of man. but Your soul hates the wicked and the one who loves violence. the upright shall behold Your face. which has made the righteousness of Jesus my own. Make my deeds righteous in Jesus and pleasing in Your sight. Bring me to that day when I shall see You face-to-face! In Jesus' precious name, Amen.